Cold days are coming to an end, and summer is slowly arriving. More and more clients are asking us about garden furniture for their terraces. Today we present you with new ideas for outdoor furniture so you can get the most out of your garden. 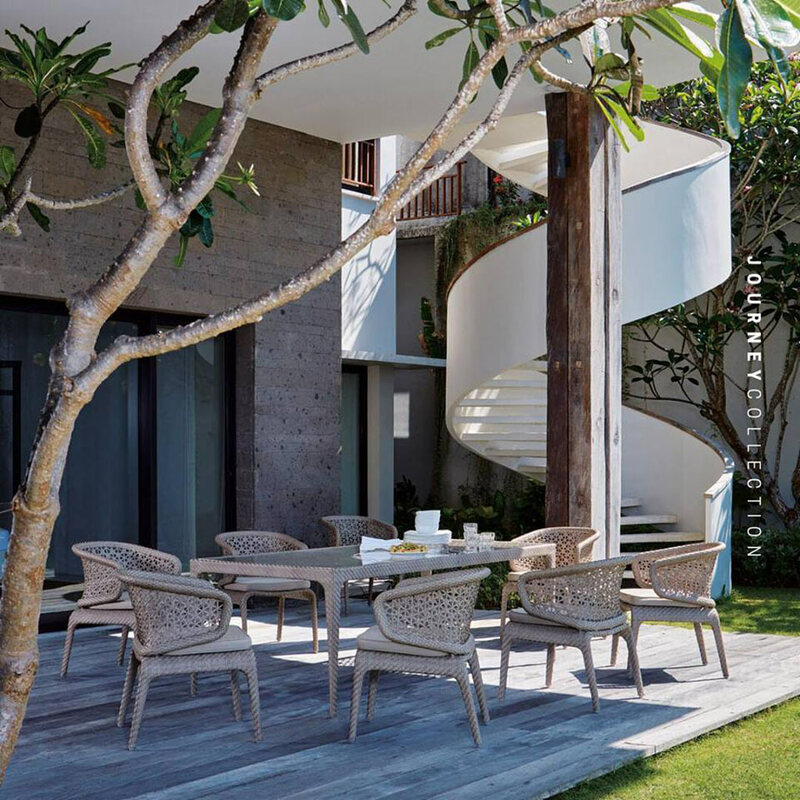 With the right furniture you can take advantage of unused areas, add color and harmony to the garden, so that it becomes a pleasant place to enjoy the good weather. There is nothing more pleasing to the eye than some bright colors in the garden. Vibrant tones bring harmony and well-being. You can achieve this with plants, flowers, decorative elements and, of course, with the right furniture, playing with cushions and textiles, candles and other accessories. However we should always let the natural green terrace vegetation prevail and stand out. The garden can be the perfect place for a table, comfortable outdoor armchairs and some chairs where you can enjoy a wonderful evening with your family and friends. 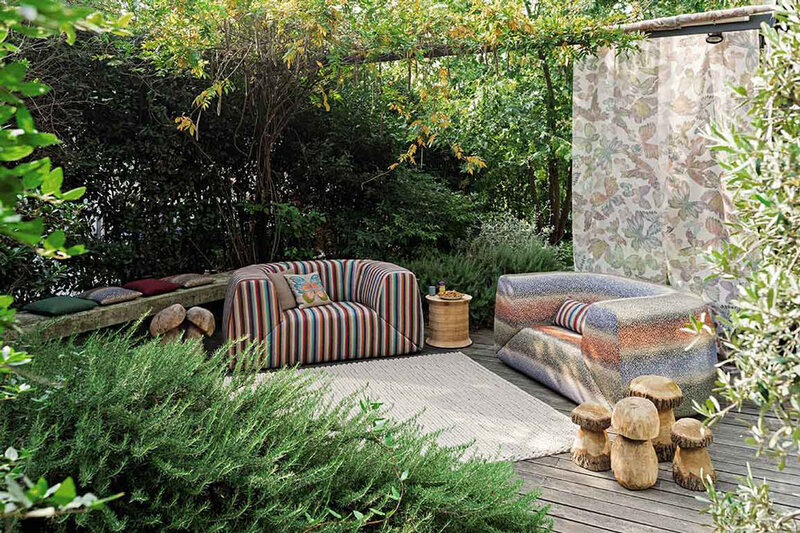 We love to mix different styles, materials and colors in the garden so that it becomes your little dream corner. Previously we talked about the garden as a place for activities, a dining room, and now we recommend that you choose a small “zen” corner on your terrace where you can sit back and relax. This can be achieved by creating a small chill out environment with neutral colored chairs, colorful poufs and a wooden decoration elements. 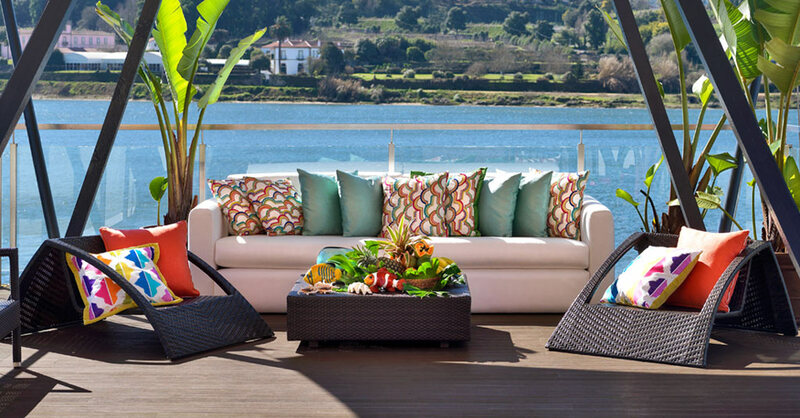 For a more fashionable look, you can use different shape cushions and colors on white upholstery. If you love comfort and enjoy some relaxation time, you can place a very fashionable element in your garden, the hammock! You will find them in lots of different materials, shapes and colors. 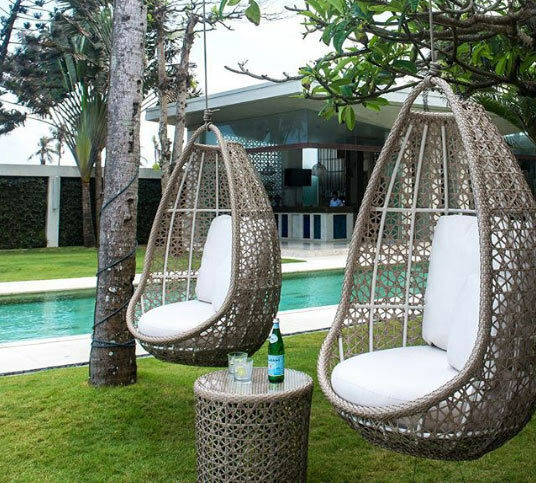 If you want to impress both adults and children, the hanging hammocks or swings will delight all your family and guests, and will become your favorite place to read a book or have some tea. Older PostWHAT IS THE KITCHEN DESIGN THAT BEST FITS YOUR HOME?